Anping YinQue Metal Wire Mesh Products Co., Ltd.
5, manufacturing all kinds of chain plate turning machine, mesh belt conveyor and design and manufacture of metal mesh chain belt. 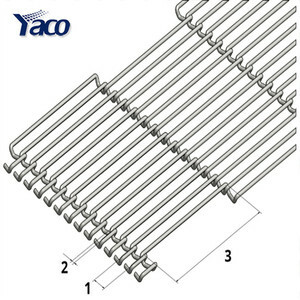 Packege Stainless Steel Eye Link conveyor belt / Chain Wire Ring Conveyor Wire Mesh Belts 1). 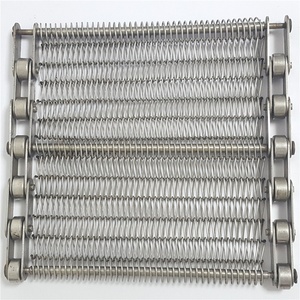 Factory Stainless Steel Eye Link conveyor belt / Chain Wire Ring Conveyor Wire Mesh Belts 1). 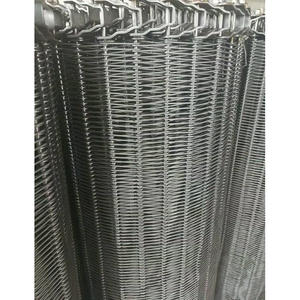 Metal Conveyor Belt Mesh/stainless steel chain conveyor belt mesh/wire mesh conveyor belt metal conveyer belt Material: stainless steel wire, stainless iron wire, middle and low carbon steel wire, galvanized iron wire nickel, chromium wire, iron chromium and aluminum wire, polyester wire and so on. Weaving and characteristics: ordinary weaving, reinforce weaving, parts ordinary weaving. Use: in oil, metallurgy, machine of food processing, pharmacy, glass print, special equipments of circuit board, etc. 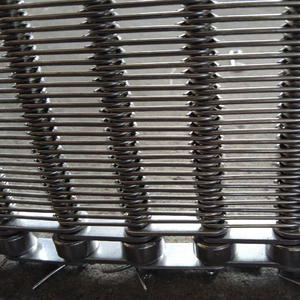 Anping Congxuan Metal Wire Mesh Products Co., Ltd.
metal conveyor belt mesh,stainless steel conveyor belt band wire mesh belt,stainless steel chain conveyor belt mesh Stainless steel wire conveyor belt own the resistance to acid,alkali and low high temperature. It owns good conveying function,break resistance as well as antioxidation. With professional design and compact form,the stainless steel wire conveyor belt is very easy to install and steadily run without deflection. imported belt design , one module thus minimal clearance more even heat distribution . features:heat -resisting , and high carrying capality , acid -proof and oxidation -proof. as the belt are made up of strip and rod the load carrying and flexibility . Belts are built with flat wire spirals across the belts width and connected with either straight or crimped cross bars. The Installation of this kind of wire belts is very easy and the maintenance cost is very low. 6.There are two production lines in our factory:one line mainly manufactures meshs,the other line mainly for the manufacture of metal products. The belt has very good turning capabilities and can go 180&deg; curves. With the smooth belt surface,good air circulation and easy-cleanable capabilities,the belt can bear high pressure and stress. The spiral grid belt also applies in the fermentation,cooling and quick-freeze of the flour products. Shanghai Runhao Building Material Co., Ltd.
Alibaba.com offers 7,725 chain mesh belt products. About 52% of these are steel wire mesh, 27% are conveyors, and 1% are 100% polyester fabric. 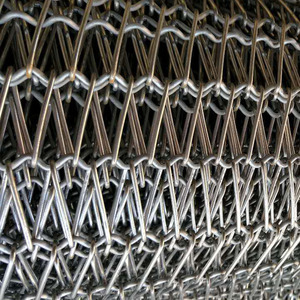 A wide variety of chain mesh belt options are available to you, such as weave wire mesh, chain link mesh, and wire cloth. 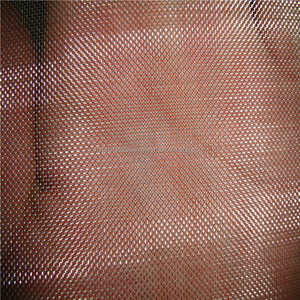 You can also choose from woven, perforated, and welded mesh. As well as from plain weave, twill weave, and dutch weave. 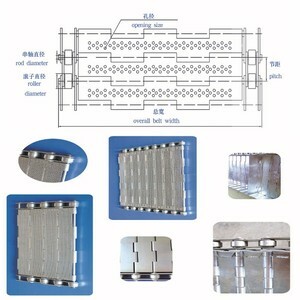 And whether chain mesh belt is woven wire mesh, filters, or protecting mesh. There are 7,727 chain mesh belt suppliers, mainly located in Asia. 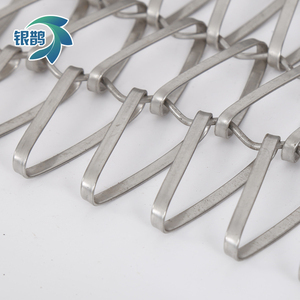 The top supplying countries are China (Mainland), Japan, and Pakistan, which supply 99%, 1%, and 1% of chain mesh belt respectively. 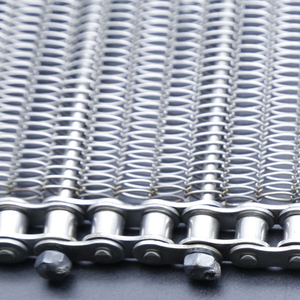 Chain mesh belt products are most popular in North America, Domestic Market, and Africa. You can ensure product safety by selecting from certified suppliers, including 1,039 with ISO9001, 358 with Other, and 13 with ISO14001 certification.